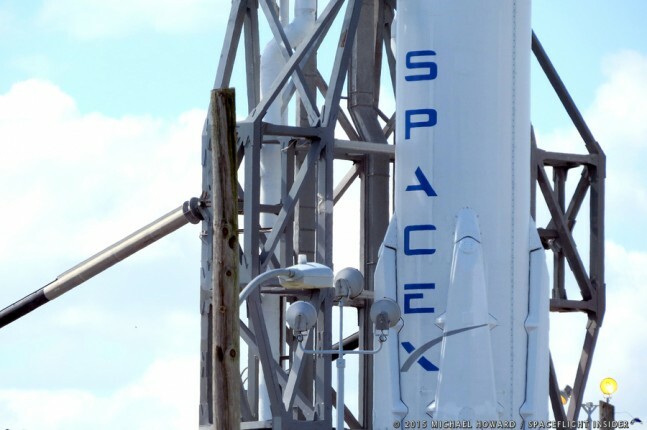 CAPE CANAVERAL, Fla — Space Exploration Technologies Corporation (SpaceX ) has been working to have the first stage of its Falcon 9 v1.1 and upcoming Falcon Heavy boosters land for possible reuse. However, initial reports that the F9’s first stage would land back at the launch site, Cape Canaveral’s Space Launch Complex 40 – it now has been revealed that the actual landing site will be Space Launch Complex 13. SpaceX, a NewSpace firm based out of Hawthorne, California, has entered into a five year agreement with the United States Air Force to lease the site which will serve as a landing facility. According to a report appearing on Space.com SLC-13 was used to launch Atlas rockets between 1956 and 1978. The site was deactivated in 1978 after having been used to launch 50 launches and being listed as a National Historic Landmark. During the Jan. 10 launch of a SpaceX Falcon 9 v1.1, the company attempted to land the first stage of the booster on the deck of its Autonomous Spaceport Drone Ship. That attempt, while close, ended in failure, with the first stage striking the vessel, exploding and careening into the ocean. The company feels that it has addressed the hydraulic issues which caused the incident and will try to land the first stage for the booster carrying the National Oceanic and Atmospheric Administration’s Deep Space Climate Observatory (DSCOVR) spacecraft when it is launched. That mission is scheduled to liftoff at 6:03 p.m. EST (2303 GMT) on Wednesday, Feb. 11. The financial portions of the agreement were not disclosed nor has SpaceX revealed how many water landings would be conducted before the company would attempt to have the first stage touch down on land. This is according to a report appearing on Florida Today.